Enough? The Baha’i Seven Are Still There**. The campaign is over now. There have been several concerted efforts to raise global awareness. 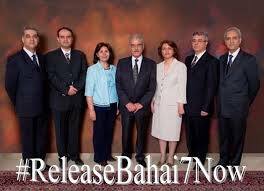 One proclaimed the passing of 10,000 hours of unjust, of ridiculously tragic imprisonment of seven Baha’i leaders in Iran. Many fine words were said in numerous dignified contexts, but the “Yaran” – it means “friends” in Farsi – remained in jail. 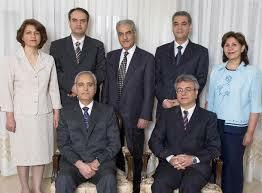 The five-year mark of their astounding 20-year sentences brought another crescendo of polite indignation, but these five years of loss, not only to the persecuted Baha’i minority but to all of Iranian society, moved the Teheran government not a bit. Will a new logo be needed for nine? In May of 2015, the hashtag #SevenBahaisSevenYears achieved not quite the currency of, say, #BlackLivesMatter (to say nothing of tags for TV shows or celebrity break-ups), but it circled the globe with awareness and a renewed call for justice. 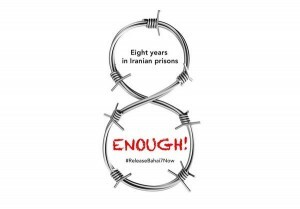 Earlier this month, #EnoughIsEnough and #ReleaseBahai7Now had their moments of trendiness as the Yaran’s captivity reached its eight anniversary. The campaign did its best. 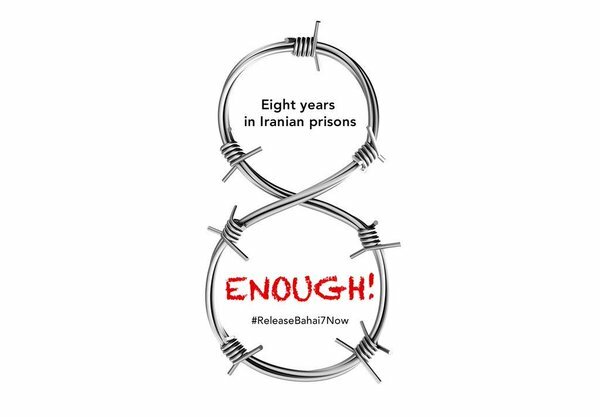 More people than before are aware of the human rights situation in Iran, one that puts the Baha’is at the centre of the issue – not that they are the only, or even the largest, group that is oppressed and unjustly incarcerated. In fact, the Baha’i community wishes only to serve the broader population, and is dogged, even when its brightest young people are excluded from university admission, in its pursuit of education for all. Their “crime” is one, plainly and simply, of belief in the teachings of the 19th-century Persian nobleman known as Baha’u’llah, considered a heretic by Shiah Islamic clerics. All the noise about “sedition” and “immorality” and “spying” is nothing but bigoted, ignorant and baseless slander; religious intolerance is the reality. So here I am. I tweeted and liked. Did my bit, I guess. Maybe so. Ever had an optometrist for a hero? I have, now. Vahid Tizfahm is a lion. 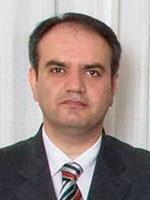 At 42, Mr. Tizfahm is the same age as his father was when he was executed for being a Baha’i. Three bullets, no lawyer, no charge that we would recognize as remotely judicial. 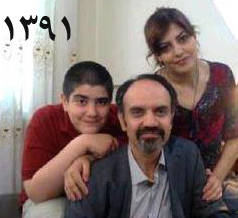 Vahid, the son who is now the similarly arrested father, is quite the youngest of the Yaran, the “friends”, the group of seven Baha’is that worked to guide and encourage the members of their persecuted community. As has become the disgusting norm in Iranian society, it goes without saying — so I’ll SAY it, again — that he did not go to university; as a member of “this detestable sect”, he wasn’t allowed to. He was able to train as an optometrist, and alongside this business he was a youth leader, taught children’s classes and was appointed to generally inspire, encourage, and promote learning among Baha’is. He studied under and supported the BIHE, the Baha’i Institute for Higher Education, an underground university that trains excluded Baha’i students in living rooms and by email. He did these things, of course, until he and the other Yaran were arrested, for “crimes” such as these, a little more than seven years ago. Vahid is the Persian form of an Arabic word that means “unique”, “peerless”. Vahid. One of the greatest figures of the violently visionary and just plain violent early years of the Baha’i movement, in 19th-century Persia, was given this lofty title. And now we have another singular man, quietly, hardily, heartily bearing societal rejection and punishment in the name of principle, in the pursuit of justice. The Tizfahm family. Not sure whether this is a prison visit, or just prior to his arrest. Vahid Tizfahm’s son was in grade 3 when they came for him, about the same age his daddy had been when his own father was taken. The family had just moved to Tehran, and my thinly educated guess is that they had done so in order for Mr. Tizfahm to more easily work together with his Baha’i leadership colleagues. (You know, relocation to pursue sacrificial voluntarism, that old story.) The lad is now a sophomore in high school. I have a son about that age, who probably gets more contact with his Dad than he’d like. But what about young Mr. Tizfahm?